If you haven't noticed already, Halloween is my favorite time of year. Something about the October sky. The air. The rustling leaves. The Halloween cartoons! If you haven't already purchased them, be sure to buy "Mad Monster Party ", "It's The Great Pumpkin, Charlie Brown " and "The Nightmare Before Christmas " this season. Sure beats waiting around for them to air on TV! 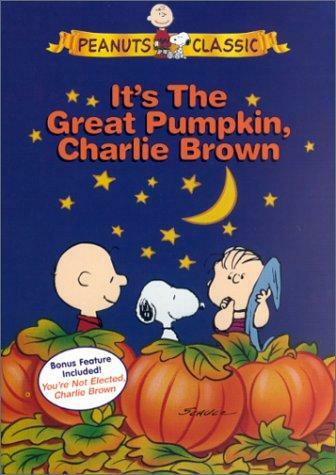 I can remember when I was a kid (before VCRs and DVDs) sifting through the TV Weekly trying to find out when "It's The Great Pumpkin, Charlie Brown" was going to be on TV. "Mad Monster Party" hardly ever played on TV (due to its running time) so I was elated when it became available on DVD. "It's The Great Pumpkin, Charlie Brown" really captures what Halloween was like for me growing up. The story line: Charlie Brown is thrilled to have been at last invited to a costume party. His costume consists of a bed sheet with far too many holes in it (very befitting of Charlie Brown). Snoopy's costume consists of the goggles and scarf of a World War I flying ace. He is in search of his nemesis, the Red Baron. Linus prepares for the arrival of The Great Pumpkin, whom he believes will rise from the pumpkin patch and deliver presents to all good little boys and girls who believe in him. In the end, Charlie Brown finds himself with a treat bag full of rocks; Snoopy once more fails to bring the Red Baron down; and Linus spends the entire night in a pumpkin patch, waiting in vain for the arrival of the Great Pumpkin. This the second of Lee Mendelson and Bill Melendez' animated Peanuts specials, the 30-minute "It's The Great Pumpkin, Charlie Brown" was first telecast October 27, 1966. 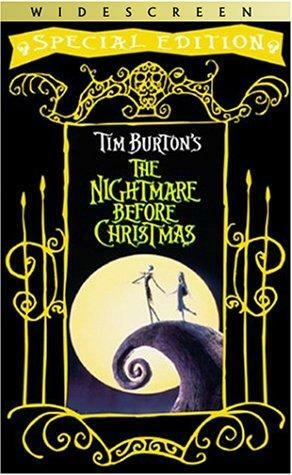 Tim Burton's "The Nightmare Before Christmas" is based on characters created by Burton, the former Disney animator best known as the director of "Pee Wee's Big Adventure ", "Beetlejuice ", "Edward Scissorhands ", and the first two "Batman " movies. This a story of Halloweentown resident Jack Skellington (voice by Danny Elfman, who also wrote the songs), who stumbles on a strange and fascinating alternative universe called ... Christmastown! Directed by Henry Selick (who later made the delightful "James and the Giant Peach "), this PG-rated is suited for kids of all ages. As Roger Ebert noted in his review, "some of the Halloween creatures might be a tad scary for smaller children, but this is the kind of movie older kids will eat up; it has the kind of offbeat, subversive energy that tells them wonderful things are likely to happen." 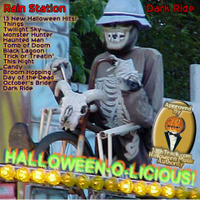 For some homegrown Halloween fun be sure to check out the FLASH animated cartoons by Jay Moores for Rain Station's Halloween spectacular, DARK RIDE...and visit JackOLantern.org!